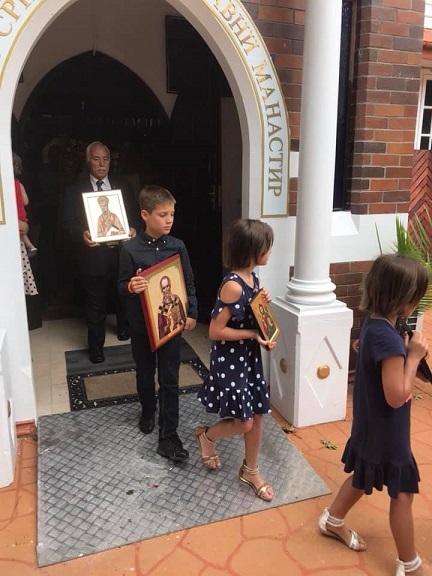 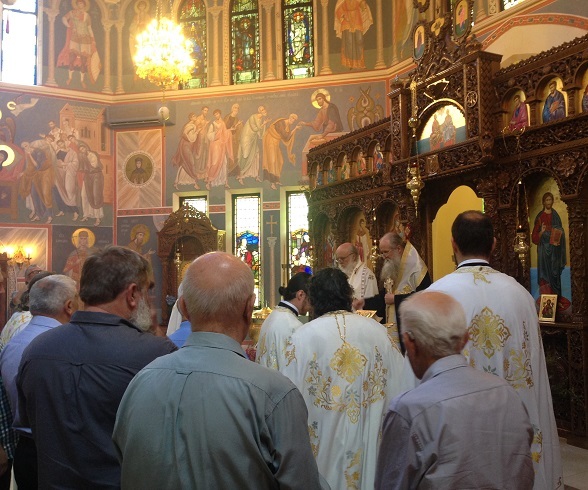 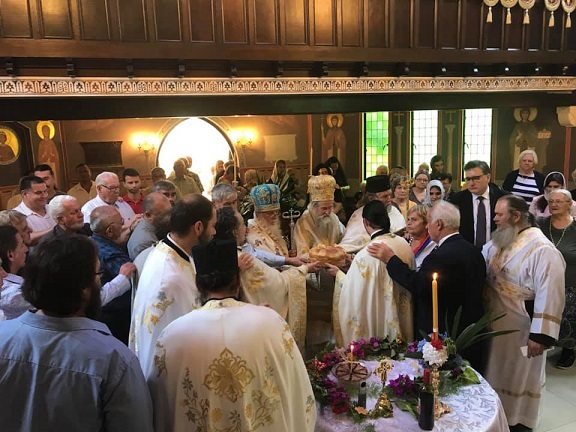 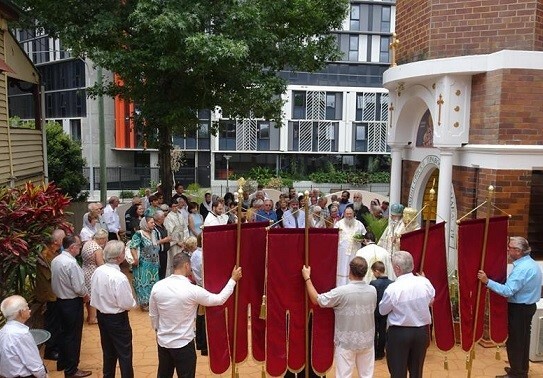 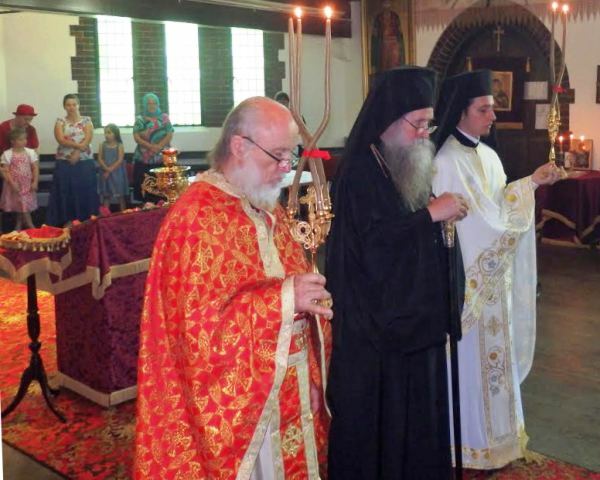 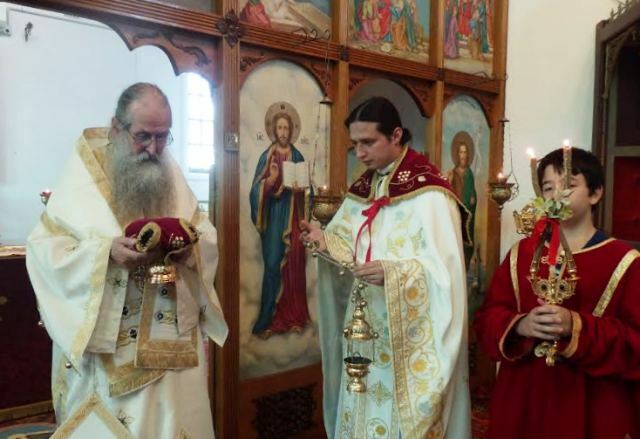 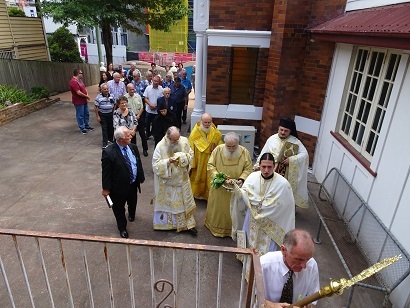 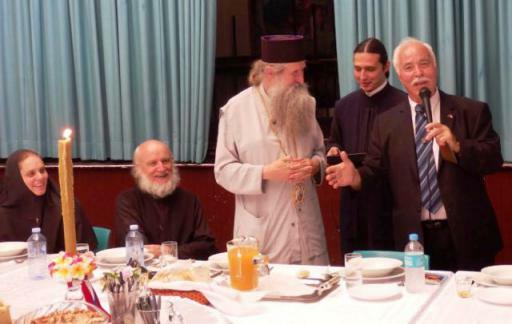 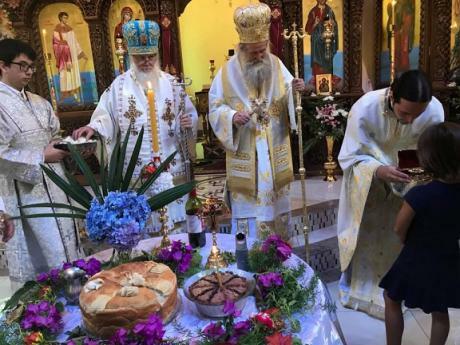 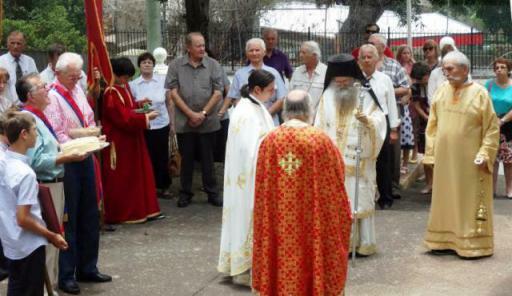 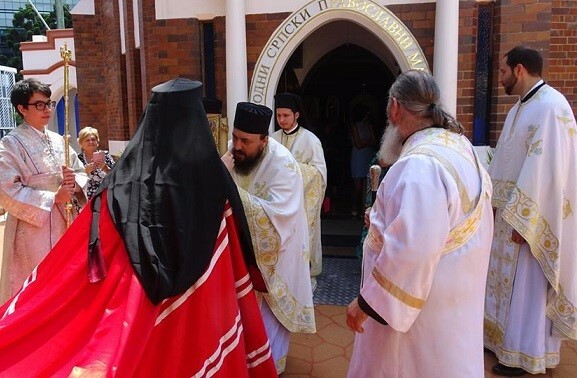 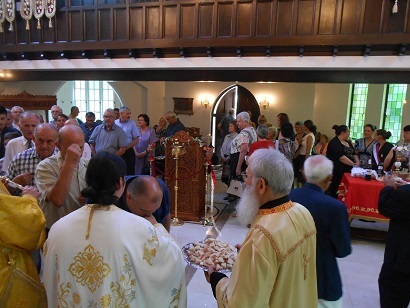 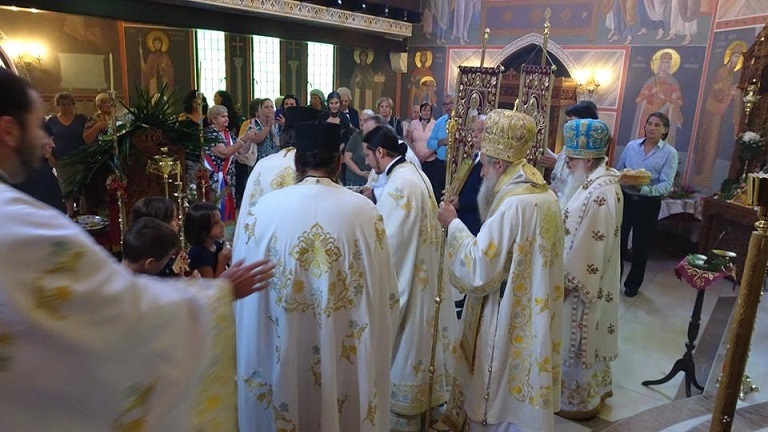 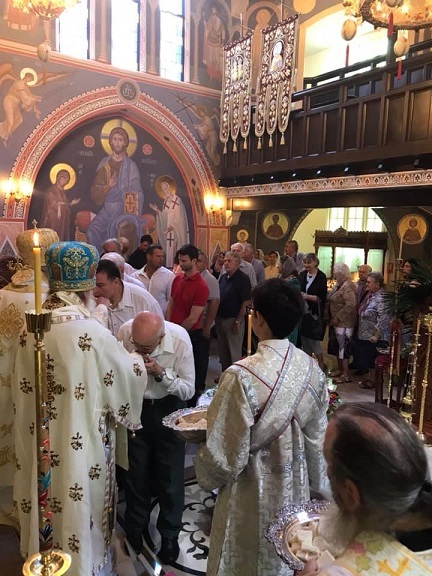 On Sunday, 5/18 December, the Free Serbian parish of St Nicholas celebrated its parish feast. 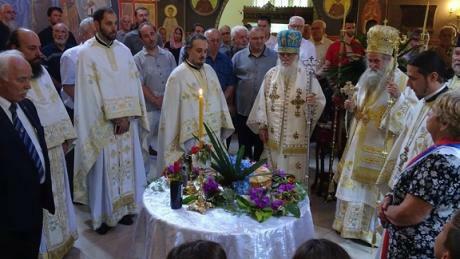 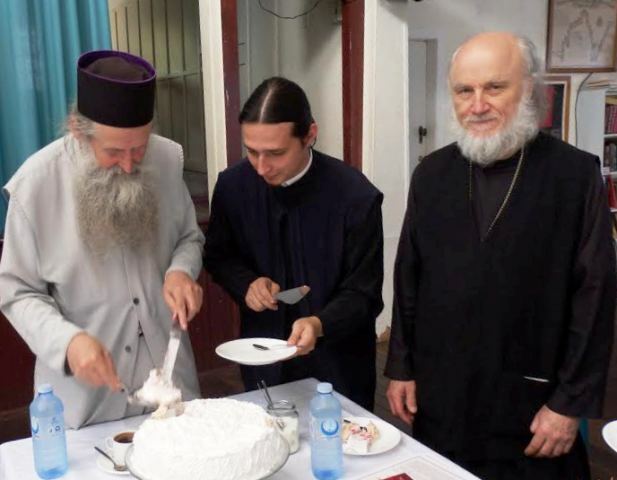 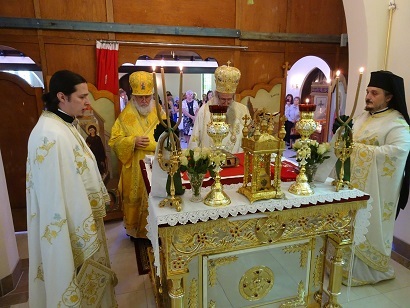 The new Altar table was consecrated by Bishops Ambrose and John, with Archimandrite Hristifor and Hieromonk Simeon concelebrating. 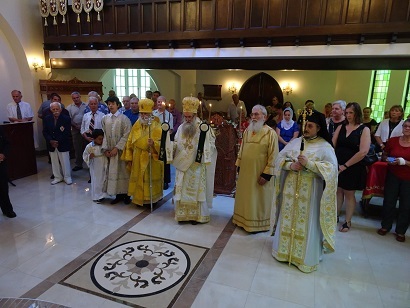 The parish feast of St Nicholas was transferred to the preceding Sunday, when the Serbian Slava was also celebrated. 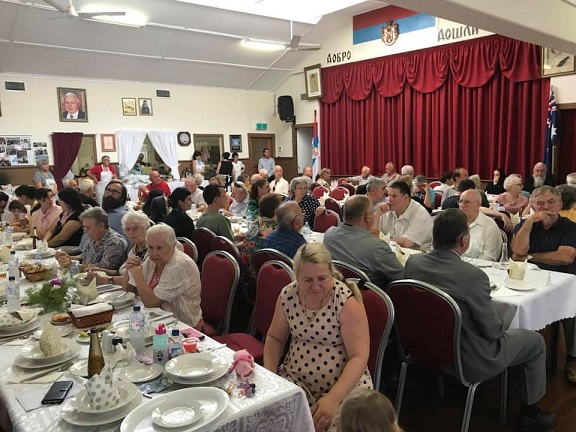 The sisterhood provided a sumptuous fasting meal.